"No man is an island unto himself"
An English sailor, shipwrecked on an unknown island off the coast of Trinidad, works against all odds to survive, alone. Every day he climbs the same rock and looks through his spyglass, hoping for a sign of civilization. After twenty-five years, his wish comes true! He sees someone in trouble and rushes in to save them. Meet Friday. The two embark on a path towards friendship and cultural acceptance, despite some comedic miscommunication. 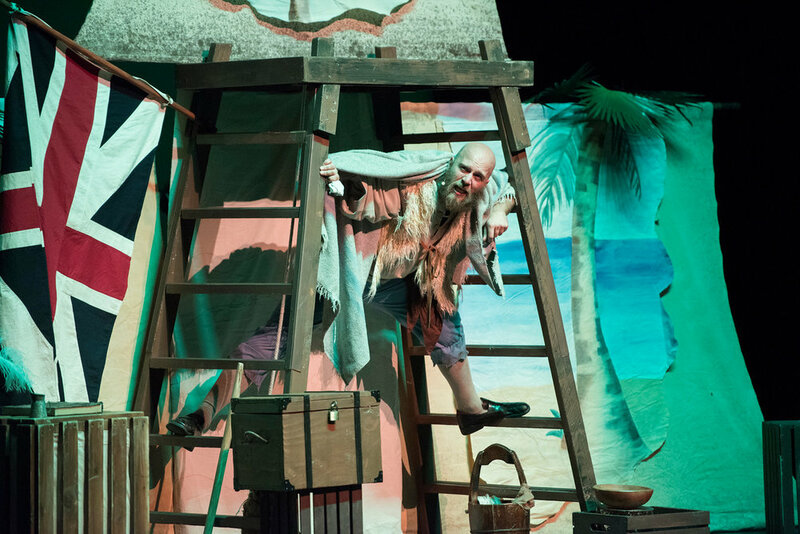 Set sail with ROBINSON CRUSOE + FRIDAY on an adventure story full of history and heart! 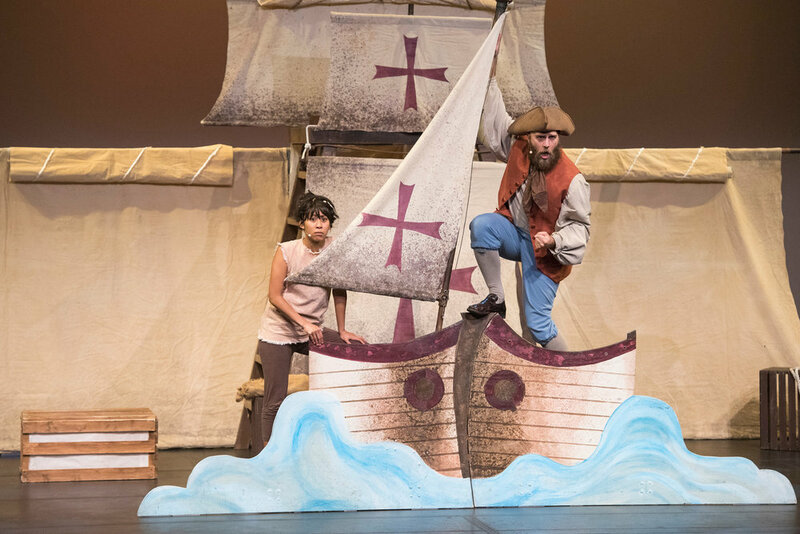 ROBINSON CRUSOE + FRIDAY has just completed a 5 month international tour, performing in schools and theatres across Canada and the United States.. Booking now for interest in the 2019/20 season. 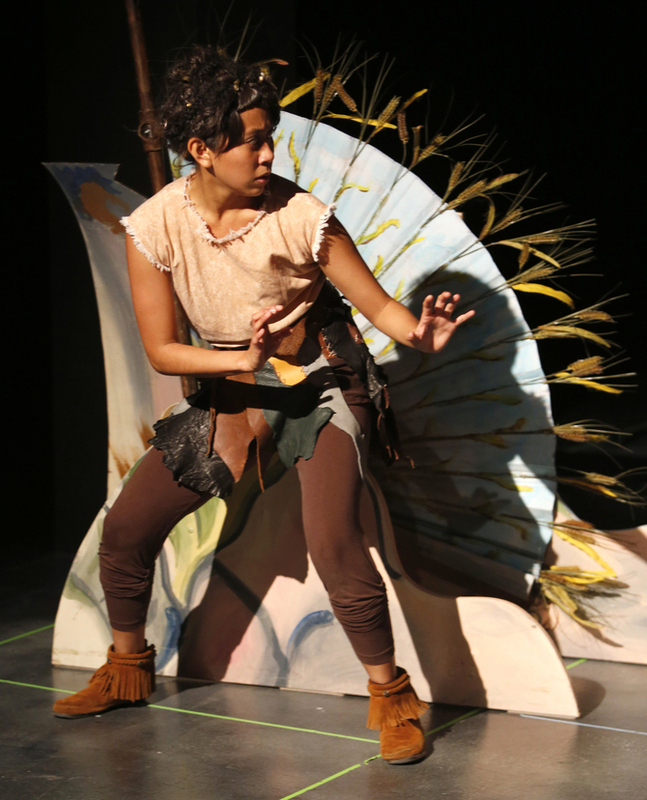 Please contact the Tour Coordinator by email at tours@axistheatre.com or call 604 669 0631 for more information. SPECS: Please see drawings of the set and lighting cues for theatres. “One of the best performances I've seen! Really exceptional and I loved the story choice." “The imagination and detail in the set design worked beautifully with the enthusiasm and vigour of the actors to capture the children’s attention." Booking now for 2019-20 Season! Stay tuned for touring information for next season! In the mean time, if you have any questions, please contact the Tour Coordinator by email at tours@axistheatre.com or call 604 669 0631.